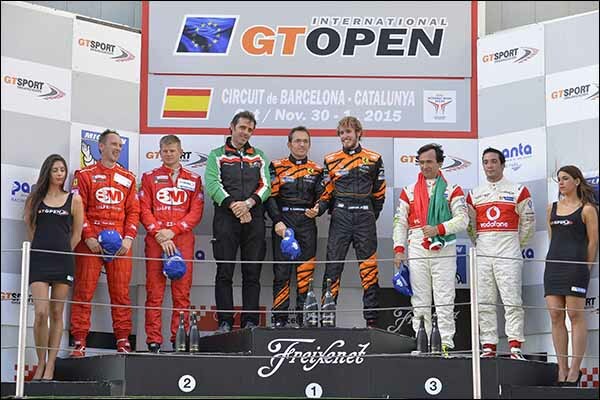 Miguel Ramos and Álvaro Parente claimed the 2015 GT Open Championship of the International Open with a race to spare in the final Championship meeting of the year at Barcelona. 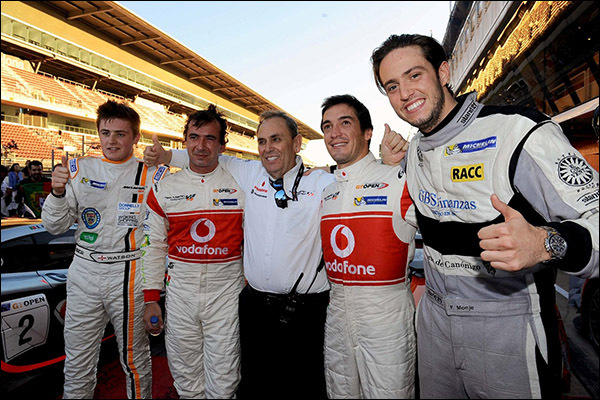 McLaren and Teo Martín Motorsport, who saw Andrew Watson and Fernando Monje winning Race 1 for their maiden wins in the series. Michele Rugolo and Pasin Lathouras (AF Corse) fought fiercely to defend their chances in the title bid but a small off-track in the closing laps put them second and out of the chase. Claudio Sdanewitsch (AF Corse) confirmed his success in the GT-Am category after taking another win with team mate Ilya Melnikov, ahead of Sardinha-Da Costa (Sport&You Mercedes), while James Abbott, driving this time with Roelant De Waard, collected more GT Open Cup honours for Radical. 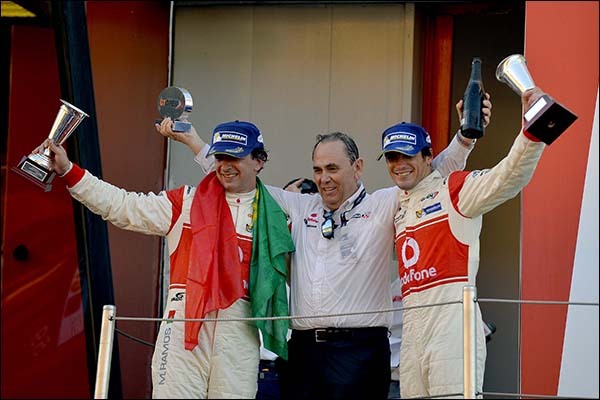 In the Teams’ trophy AF Corse mathematically secured victory after race 1 too, clinching its third title after those in 2012 and 2010. 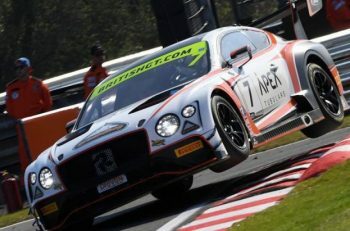 Parente took a stunning pole by 0.493 seconds (having done only 2 flying laps) ahead of Rugolo and Companc, with the second Teo Martín McLaren in fourth. Rugolo got the best start but at the second corner Parente retook the lead, with Monje third ahead of Hassid, Pezzucchi, Campaniço and Proczyk. There was drama in corner 2 as Balfe and Companc had contact, obliging Benucci to go wide. The Argentine spun into the gravel, rejoining after a delay while the Ferrari was forced to pit. Yoluc spins in lap 2 after contact with Da Costa (who’d get a drive-through) and Balfe returned to the pits to retire. In front, Parente built a 2.2 second advantage in eight laps, with Rugolo second 13 seconds clear from Monje and Hassid a solid fourth. On lap 13, Campaniço took fifth from Pezzucchi, Abbott was eighth with the Radical and Sdanewitsch led GT-Am. Cameron, Benucci and Sdanewitdsch opened the pit stop ballet. On lap 19, Parente handed over the lead car to Ramos, while Rugolo stayed on track for 3 more laps and Kox put in the fastest lap (1.47.585) on lap 18, on his way to unlapping himself. 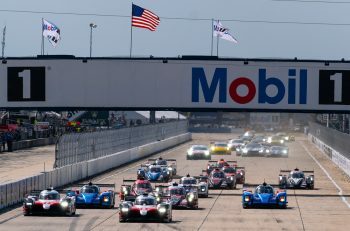 When all pit stops were done, Lathouras led with 18 seconds over Ramos and 19 on Watson. Perera, Balzan and Griffin were fighting for fourth much further back. Watson passed Ramos for second and there was a drive-through penalty for Biagi, for not serving the entire pitstop handicap, while Mallégol pitted on lap 30 with a broken engine. Fifteen minutes from the end, Lathouras’ advantage on Watson was down to 11 seconds, with Ramos 23 seconds behind. Shortly after (lap 32), Lathouras, who was then 8 seconds clear, went slightly off in the gravel, losing time and leaving the door open to Watson, who flew to the chequered flag, while Ramos took third and the title. Raffaele Giammaria and Ezequiel Pérez-Companc, with their AF Corse Ferrari F458, took the win in the race closing the 2015 season of the International GT Open. 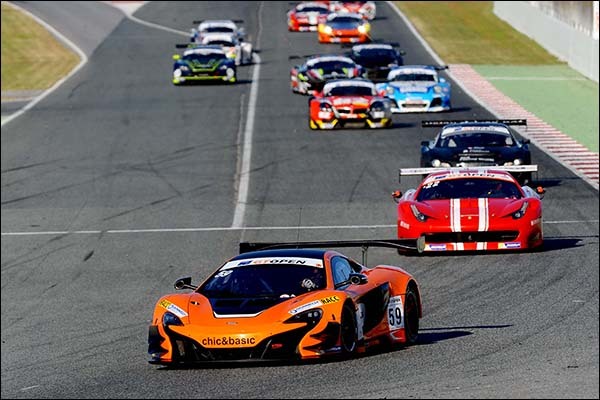 With a perfect race and a storming finale by Companc, the Italo-Argentine pair took a fifth win ahead of the Balfe Motorsport Ferrari of Phil Keen-Shaun Balfe and the Teo Martín Motorsport of the now 2015 champions Miguel Ramos-Álvaro Parente. In GT-Am, the sports&You Mercedes SLS of Miguel Sardinha-Manuel Da Costa won after a duel with Claudio Sdanewitsch-Ilya Melnikov, with the other AF Corse Ferrari of Yannick Mallégol-Howard Blank taking third. It was a very lively start, with poleman Hankey keeping his pole advantage ahead of Watson and Balzan, while Perera and Pérez-Aicart got involved in contact at the first corner, both into the gravel and taking Giammaria with them. A few corners later, Watson hit Hankey, who spun, then the McLaren was passed by Balzan for the lead. Keen was third ahead of Biagi, Kox, Melnikov, Giammaria and Ramos. Watson was then dealt a drive-through, rejoining in P10. On top, Balzan had a 2.2 second advantage on Keen after 8 laps, with Kox now third ahead of Giammaria, Biagi and Ramos. The Dutchman though got a drive-through for an earlier contact with Griffin. Ramos and Lathouras were the first ones to stop as the driver change window opened. After all pit stops, Benucci led with 4 seconds over Balfe and 8 on Companc, then Pezzucchi, Parente, Camero, Rugolo, Monje, Pronk and Sdanewitsch, first in GT- Am. The top three were soon within one second and battling fiercely. A storming Companc passed Balfe at the end of the straight at the beginning of lap 27 and shortly after took the lead from Benucci. 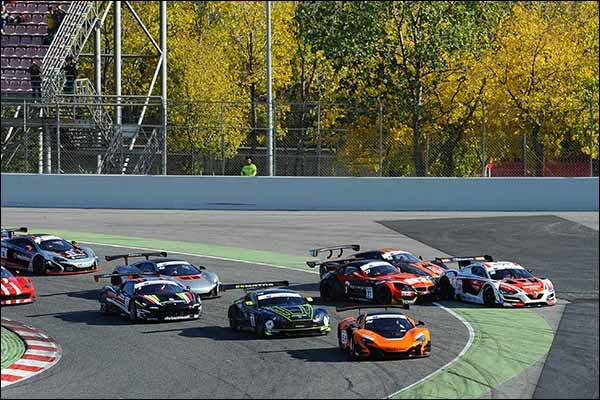 Behind the trio, Parente passed Pezzucchi for fifth, while Da costa took the GT-Am lead from Sdanewitsch. The last moves of the season saw Parente take third and another podium finish.